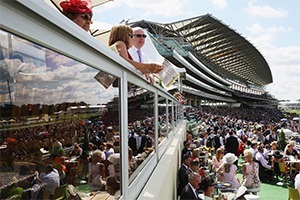 Before heading to the famous event that is Royal Ascot 2019 there are two things every attendee should do. Firstly, get familiar with the frequently used horse racing terms and sayings. And secondly, secure a delicious hospitality option for the lengthy day. Luckily enough, Eventmasters has got you covered for both! 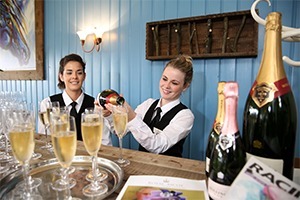 View all of the luxurious VIP hospitality packages that we provide over on our Royal Ascot Hospitality page and read on here to be in the know with these key horse racing definitions. 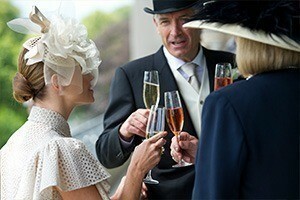 Whether a long time horse racing fan or a socialite, we believe everyone should enjoy the day at Royal Ascot 2019. 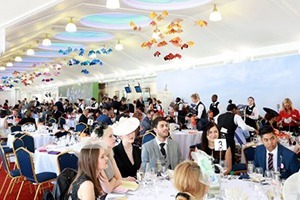 Ever been to the races and found yourself asking ‘how long is a furlong?’ Indeed, many of us have been there before which is why Eventmasters have put together a guide that won’t leave you clueless. Jockey – A professional horse rider. Flat Racing – A type of horse racing which is run on a level (or flat) racecourse. Group One – the top classification in flat racing. This group attracts the best horses and offers the largest prize money for winners. Handicap Race – A race in which the racing secretary assigns weights designed to balance the winning chances of the entrants. Rank – A horse that refuses to be rated early on in the race. Rate – To restrain a horse early on in the race to save energy for the later stages. Odds – The chances of a horse to win a particular race based on the pari-mutuel betting of the racegoers. Across The Board – A bet on one horse to win, place, and show. Off The Board – A horse that fails to finish in the money. Off The Pace – A horse that is trailing back in the early stages of the race. Knowing these terms might not make you an expert but they are sure to help you understand more horse racing vocabulary.